Buy your custom Wooden Signs here! Crafting wooden signs and engraved plaques. Cleaning up the CNC sign lettering – preparing for enamel paint. then posted to your door. Signs and plaques designed recently, a wide range of fonts and styles to choose from, made to order then posted to your door. The original website for beautiful hand made wooden signs. Rustic timber signs, some are scorched with flame, just ask when ordering. Solid timber – Long Lasting Western Red Cedar, Victorian Ash or Pine. We use Sustainable Plantation Timber only. Timber is made to look rustic & weathered but smooth to touch. 3D Lettering characters and pictures are carved deep into the timber then painted. Just let me know on the Sign Order Form! Some people ask for their sign to be scorched for the burnt old vintage look, I can also add stain tint for more depth of colour on Pine to highlight the grain – Just let me know when ordering! Our natural timber signs feature unique rustic style edges, carved unlike any other sign available or you can order classic sign shapes, profile edges, borders, small plaques etc. The most popular wooden signs ordered are Rustic edge timber with black carved lettering. You can order a Straight, or Routed Profile edge if you wish. Newest pics on Instagram! Get a Quote for a sign or plaque. Contact Andrew to ask a question. Various shapes sizes and timber available for your very own custom made sign. Personalised Bar Signs for home bars | Aussie Man Cave Signs | Shed Name Signs | Outdoor BBQ | Airbnb Signs | Flame burnt Woodfire Pizza Oven Signs | Engraved Horse Name Plaques | Old Western Signs. Farm Sign, Engraved Victorian Ash, extra chunky and scorched with flame. Exterior decking oil finish. Outdoor entertaining areas are also Ideal places to add some rustic home decor with a unique personalised wooden plaque or sign. Choose from a huge variety of fonts, view my social media links to see more examples of wooden signs made recently. Rustic Timber Signs with various fonts, shapes and engraved CNC lettering or pictures engraved then painted. Rural Country Western style signs with unique rural/country fonts! Garden signs – For those who love country style living and all things beautifully rustic! I’ve made many unique signs that have all been different in their own way. Do you have a birthday or 5th wedding anniversary coming up? – These wooden signs make fantastic gift ideas for men! 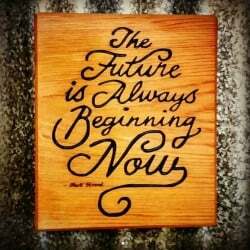 – Order an engraved wooden plaque to express your love in wood! Your gift will be forever remembered each time they look at it on display. and that’s exactly what you will find here. Order early, don’t miss out! More details below – Environmentally Friendly! Unlike most modern signs with square cut edges, these unique rustic timber signs are hand carved around the edge then emerised, adding character. Or you can order a CNC routed sign with square cut edges or shapes if you wish, see my Instagram or photos below for more ideas.. Some happy customers who sent me a picture of their farm sign installed on their rural property. Thanks Peter & Lillian! Looks like a great location. Thousands of happy customers have received my custom made woodworking. You won’t be disappointed with my level of craftsmanship and service! The letters are engraved deep into the timber then the sign is shaped and finished by hand. Beautifully finished and splinter free timber! Buy a personalised sign for your loved ones and you won’t regret it. Huge variety of fonts for your wooden sign or timber plaque – Pics below. All my outdoor wooden signs are Cedar – finished with natural oils with UV stabiliser, Not poisonous spray on chemicals. Cedar will last for years in Aussie conditions – even by the sea! Custom made sign shapes, house numbers, direction arrows, wall plaques. Anything is possible, let your imagination run wild, if you provide me with a basic outline or clip art I should be able to trace it into the timber. Bar signs, man cave signs, shed signs, bar & grill and more. “I’ve made 1000’s of signs since I started selling online in 2004. …..so don’t be afraid to order that wacky sign you’ve been wanting. I go the extra mile to make sure you get exactly what you want or we can design it to suit the personality of the person it’s made for. Still not sure if you want to order a sign? – Read what other customers are saying. View the order Process for your very own custom wood sign. Directional arrow sign, Cedar, outdoor decking oil finish. Small 40cm length. If you would like to receive a quote for your own wooden sign please use this form below. Your details will be secure and I will never use your email for spam or forward on to third parties for market research or silly surveys. – I hate that kind of thing myself so I would never do it to my customers! please be patient if I take a while to respond, I do my best and sometimes have deadlines to meet so I can’t always be on the computer or Facebook all day answering questions. Upload a photo or link below if needed. Read details and options below this order form first. > This will give you an idea of options available and a Sign Price guide. Huge Backlog I’m working through still SORRY! Current lead time is roughly 6-7 weeks from the payment date to postage/delivery date at your house. URGENT ORDERS – GIFT CARDS are now available! I cannot promise exact dates as there are a lot of orders to work through and more orders coming in daily. If you have already ordered/paid for a sign and are still waiting for delivery please note that it is coming eventually, there is a backlog I’m working through and already posting out the maximum capacity I can make and pack each week. to be redeemed in my shop or put towards a custom made sign at a later date. Use this form to contact Andrew about a custom made sign or plaque. I’ll send examples of your sign in 50 different fonts to your email for approval. Then I send an example of your sign & quote before moving ahead. Please double check your email address before hitting send or I won’t be able to reply! Where will the sign be hung? Choose the sign location so I know what finish to use. All outdoor signs are finished with exterior decking oil finish which can be a strong aroma if hung indoors. Signs can be made from Cedar, Vic Ash or NZ Pine (Pine is only suitable for indoors). Just stop asking me questions and send me a quote! I'm really excited about getting my sign, please get back to me with examples and a quote as quickly as you can! Please double check your email before hitting send. – A very common question! Signs are made and posted in batches to be more efficient < In order of the payment received date so it depends how many are on the list first and how many I am posting out each week at the time of ordering. Please understand there is usually a 4-5 week waiting list for my custom signs, I also make boxes and other custom made items which can sometimes keep me really busy. But my order is urgent! Please understand > If there are other customers on the list who have already paid then it’s unfair to make them wait too much longer. for your brother’s 21st birthday in WA! — It’s just not gonna happen sorry. You need to wait on the list like everyone else. Sorry but it’s only fair! Please don’t waste my time asking for fonts quotes and examples only to tell me you needed it by this weekend. Can you get it to me sooner? – Let me know when you need it and I will see if I can help. I can sometimes move your job up the list. You must let me know the required date and the State you are in when ordering and I can post express to get it to you a few days earlier. I can also arrange for pickup if you don’t mind the drive out to my workshop in Heyfield Vic. How much do your signs cost? They are custom made to order, all different. Price Guide << please be aware they aren’t cheap, especially if you want extras, difficult pictures that require editing or a large sign. You may also find something to Buy Now on my shop pages for signs or boxes. Do you supply screws or chain and links for hanging the sign? No, we don’t supply hardware, but we can supply Screw Eyes if requested on the form. For all hardware items please visit your local hardware store as there are many different options depending on where and how it is being hung. Easy card payment, made securely on the invoice which I will send you. or by logging in to your own bank account. Rustic Signs with unique carved edges and deep-carved-painted lettering. …Excellent quality & high pigment UV resistant. Designed to last in the harshest Aussie conditions! Independent weather simulation tests at a laboratory Florida. have demonstrated a strong resistance to UV exposure. Western Red Cedar finished with 2 coats of decking oil (a blend of natural tung oils & beeswax). Signs can be maintained by re-applying oil or left to weather to a beautiful silver grey (instructions are provided with sign). New Zealand Pine and finished with polyurethane. You can also choose a Cedar sign for indoors, just let me know so I know what finish to use. The decking oil can be quite a strong aroma if used indoors; some people love it, others have complained so I’m just letting you know, but ultimately the decision is yours. PLEASE NOTE: – Most customers choose Cedar even for indoor signs due to its beautiful colour & grain texture enhanced by the finish on natural timber. Pine is not recommended for outdoors. Sure you may find cheaper signs but that’s not what I do. Ours are unique and no two are the same because the edges are carved with a human in control of the shaping, not a machine. I’m not interested in mass producing for maximum profit – pumping out boring signs that all look the same. Huge variety of font styles for these personalised name signs! Choose from these fonts or if you have others in mind just let me know the font name and I will get it for you if I don’t already have it. If you can’t decide. No worries!. I will send you an example of your sign in 50 fonts when ordering! NEW – Vintage Carnival Freakshow fonts!! Too much choice? – Don’t worry i’ll help you decide what font best suits your sign. If you would like a picture engraved on your sign I have many available or I can purchase, just let me know on the order form and I will see what I can do. Price is usually $25 depending on how much work is involved. Black and white line drawings work best, you can search Google – example ‘horse clipart black and white’ then click images. For price & options please read this page for details then fill out the form on this page. Pics coming soon, check out Instagram or Facebook for latest work. Chunky & Thick Timber crafted with character. Large country signs are made using a different technique and require thicker timber and deeper letters, they are priced on an individual basis according to size – Contact Andrew on this page for a free quote. Aussies love their decks, here’s some advice when it comes to outdoor finishes. Marine Varnish and most modern finishes are full of plastic! Most synthetic finishes and polyurethanes are made from ingredients sourced from left overs and waste products from various industries. Why take a natural piece of wood then cover it in a thin layer of synthetic-toxic crap? Doesn’t make sense to me, it’s all marketing by corporations to try and take your money then give you the cheapest tin possible so they increase their profit margins. I use Aussie made decking oil on my signs – from Byron Bay – Organoil.com.au Organ Oil exterior with tint (UV stabiliser) Any questions about why natural decking oil is better, just ask me or do your own research > This info below applies to your decks as well. People should be aware that polyurethane and most modern decking oils are still called oils but they are full of plastic as well, they actually contain very little if any natural oils. Brands – I won’t mention specific brands or use the ‘C’ word but let’s just say they advertise a lot here in Aus! It’s not just because I prefer natural products or because I care for the environment or the fumes I breathe. Synthetic crap just doesn’t work as well. Consumers should avoid plastic when it comes to timber finishes in my opinion, they just don’t look or perform as well as natural oil blends. The natural plant oil ingredients and formulas worked well for 1000’s of years. It’s only recently we’ve had this new polyurethane shoved down our throats in just about every finish you buy these days. It’s cheap to make and easy to use so why wouldn’t they use it and promote it? Don’t risk it with your deck! If you’ve ever used it you probably already know how patchy this plastic oil finish can become over time and it’s a real hassle to get it all off then re-finish with natural oils. I’ve seen where people try to clean their decks with high pressure water and it’s obvious where the plastic layer has been completely removed leaving nothing but raw timber beneath in ugly swirl patterns. If you’re interested to know my opinion on Merbau Timber please read my full blog article here about the importation of this timber, you may be shocked to learn the damage it’s causing! Australians need to wake up to themselves! This timber is banned in many states across the USA yet we walk in to our local Bunnings to make a purchase and don’t know any better. We use truckloads of it everyday here in Aus! This has to stop before it’s too late. Unfortunately I don’t think anyone cares. What’s your deck made of? Please read the article about Merbau and spread the word for me. – Min cost is usually $240 plus extras depending on the time involved to design and make your sign. $160 for the sign + $6 for each letter carved and painted, no charge for extra long sentences. My Outdoor Signs are Western Red Cedar with carved out lettering painted with quality flat black enamel. Australian Made natural decking oil finish, hand rubbed, Cedar will last for many years in even the harshest conditions. Pictures engraved and painted are $25 depending how much work is involved. (Prices are AU$ for standard size sign up to 800mm). Prices above are a guide only, this can change if extra work is involved on images with high detail such as bird’s feathers, converting a supplied image to a suitable engraving (vectors) etc. Larger sizes or special requests quoted in email. Discounts available for a large amount of text or charity organisations, defence force personnel, RAAF, ANZAC’s, returned soldiers etc. – Please mention when ordering to receive a special quote, thank you for your service! Please Note – Max parcel length for Aus Post is 1m. International orders please ask for P&P quote. Quality Packaging for your piece of mind. Your wooden sign is carefully wrapped in paper then at least 3 layers of bubble wrap, recycled brown paper and packing tape…. I spend a lot of time packing your sign to ensure it gets to you undamaged. Aus Post can be quite rough with them so I make sure they are well padded. Finished with natural oils & waxes. Engraved Logo for Chambord Liqueur – Cedar Outdoor finish, un-painted lettering. Large signs for park lands, council signage, or golf courses. Screw eyes go into the predrilled holes easily by hand. Optional on the order form. They go in when I’m wrapping the sign for postage, or sometimes they will be rolled up in the bubble wrap at one end of the parcel. Screw Eyes are an optional extra for customers who wish to use this method to hang their sign from the top edge. They are supplied in pre-drilled holes in the top edge of your sign and can be unscrewed if you ever wish to remove/replace them. If you select them on the contact form when ordering they will be rolled up in the bubble-wrap packaging at one end of your parcel. Available in Zinc, Black Painted or Brass Plated (see note below). Price $4.50 ($5.50 black) including fitting. Quality hardware guaranteed! Brass Plated are not recommended for outdoors – the plating may come off eventually. — Choose Zinc or Black Painted for outdoor signs. 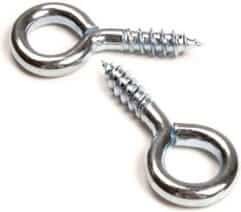 For chain, links, screws, hooks, or any other hardware please visit your local hardware outlet. Grandpa’s Shed 42cm x 24cm – Vintage Style Pine with Shellac finish – low sheen straight edge, available for a limited time. Visit my new Sign Shop page to buy now. Welcome to The Mancave 56cm x 24cm – Old Baltic Stained Indoor New Zealand Pine Visit my new Sign Shop page to buy now. How to order your own personalised sign. You’re only a few steps away from having your own unique wooden sign. Simply fill out the order/enquiry form so we can have all the details to work out a quote. Enter the text you want and choose an indoor or outdoor sign, pine or cedar etc. Please write it as you would like it written on your sign. – Normal or UPPER CASE – e.g Andy’s Shed or ANDY’S SHED. You choose from a selection of font examples that will be e-mailed back to you (usually within 24 hrs) unless I’m very busy. I will send back a draft picture of what your sign will look like for approval in your chosen font. You may even choose your own font from 1000’s available online – websites like 1001freefonts or www.dafont.com have some good examples, just let me know the font name and I may already have it. Once you approve the font and payment, I start carving the sign & design one especially for you. Your sign is packed with plenty of bubble wrap and recycled brown craft paper. Signs are posted usually within 2-3 weeks from ordering/payment. If you need it sooner you must let me know when ordering and I may be able to move you up the waiting list and post express.> Sign arrives at your doorstep ready to hang and enjoy for many years to come. These hand carved wooden signs can be made any size you require for indoors or outdoors although most I make tend to be around 500-700mm length by 200mm height. The timber thickness is approx 20mm. The longest parcel I can send through Aus Post is 1m. Max sign length is therefore 950mm to allow for packaging thickness (bubble wrap). Please let me know if you want a large sign when ordering. Routered edge profile example wooden sign. Examples of shapes available for wooden signs. Why choose a rustic timber Cedar sign? The character of a timber sign will actually improve with age, they catch people’s eyes & people love to read them. Most modern day signs are made by machine these days and lack the character of natural wood. These signs stand out in a world of boring machine made objects, you’ll be glad you ordered such a unique gift for your loved one. To have any item custom made to order, with care, takes time patience and skill. Every timber product I make has been well tested in real life Australian conditions and methods are continually researched to bring you the highest quality. Here are some things to consider with all outdoor timber including wooden signs. 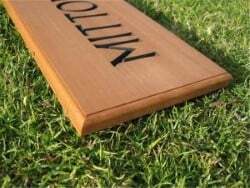 My outdoor timber signs are made from high quality grade Western Red Cedar – a timber known for its extreme long life outdoors and anti rot characteristics. Cedar is also anti-fungal and will continue to resist decay or mold over many years due to natural oils present deep in the timber fibres. These days many sign makers use fake or inferior timber which will rot faster than real Cedar. They also use chemical spray on poly finish instead of natural oils. Spray on finishes are much quicker to apply but will not last as long, once they crack or peel water penetrates the top layer making things worse. Oil finishes soak into the timber and will nourish the fibers, the water will bead off the surface like a duck’s back. It also enhances the grain and provides a beautiful color. I refuse to take shortcuts in the timber industry simply to cut costs, I believe in traditional natural methods, if you’re after a cheap bargain please look elsewhere. Andrew Wilkerson – Designer & maker of fine boxes and signs. Is there someone you know with a new house, shed or bar? Family house name sign examples. Farm signs with rustic carved edges, deep carved out lettering – painted matt black enamel. Decking Oil finish – Australian Made. Made to order then delivered to you! People are delighted to know it was carved just for them! I’ve had reports of customers becoming quite emotional when received and love showing them off to friends. 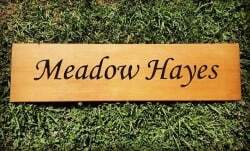 A personalised wood sign or country style sign makes a great gift idea for a new house, shed, workshop, farm property, or bar. A price guide is on this page. Usually between $150 – $300 depending on final size and details. Please use the form and I will reply with a free quote and example font list to choose from. Deep V carved CNC lettering, then painted. Bar Signs – engraved with logos – personalised to suit your character or drinking habits! Indoor timber bar signs look great when engraved in Western style, Old English, or InkPen fonts. You will be emailed a picture for approval before I start making. Personalised rustic wood bar signs make anyone’s bar look great & adds so much character to the area. If you know someone who loves their bar then you simply must have a personal sign made for them. Don’t be afraid to ask for a strange or weird word for your wood sign, I’ve had many requests for unique signs and I’m more than happy to help… I love making unique timber signs! Get a personal gift that will be remembered by your loved ones for many years to come – Every time they look at it they will think of you! The gift that keeps on giving. One of my most popular wooden signs. Order one for your man today, he will love you for it and as an added bonus you may even get him out of the house more often. Made for a fan of Doctor Who – Indoor Pine Rustic Edge – Personalised wooden sign with engraved logo. Why order a sign from me? – You may wish to get other quotes and that’s fine, compare my work and level of craftsmanship with other sign makers, look through my Instagram or Facebook photos then get back to me if you truly want The Best Wooden Signs Online. I’m not here to price match or negotiate a bargain, I’m passionate about providing you with the best using sustainable natural methods, locally sourced (as much as possible) to support Australian manufacturing and the town community. All our kids future is at stake! Do you want a cheap wooden sign made by a sign making factory or do you want personalised service from an actual woodworker? A wood craftsman who knows how to work with timber. Help support Australian small business and my young family. It’s your money so it’s up to you where you spend it. These wooden signs are made to last outdoors in the harshest conditions without any maintenance using the finest Australian materials. You can re-oil them if you wish, full instructions provided. AUSTRALIAN WORKSHOP CREATIONS has been online since 2004. All content on this website including text and pictures are the property of the website owner. Please contact Andrew if you would like to reuse them in anyway. He’s usually pretty cool with it, just ask first.